The Indian army is reportedly happy with the new indigenous heavy artillery gun Advanced Towed Artillery Gun System (ATAGS), dubbed Dhanush, being developed by DRDO with the private sector. 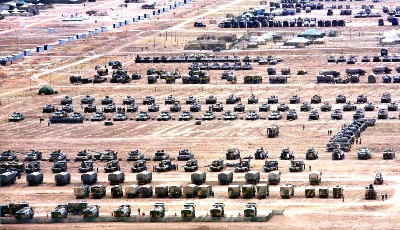 Artillery acquisition into the Indian Army had been stalled for 3 decades since India acquired the controversial Bofors FH77 howitzers between 1987 and 1991. India had neither succeeded in getting an import deal nor in developing indigenous artillery till recently. What is the feedback from the users? 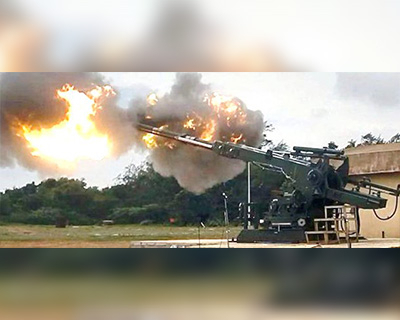 The Army has given thumbs-up to Advanced Towed Artillery Gun System (ATAGS), a heavy artillery gun, being developed by the Defence Research and Development Organisation (DRDO), in collaboration with the private sector. “The gun has come up very well. The way the project is unfolding, if it continues that way, it will be one of the finest guns in its class in the world,” a senior Army officer told The Hindu. ATAGS is a 155-mm, 52-calibre towed artillery gun being developed in mission mode for the Army’s artillery modernisation programme. It was designed by the DRDO’s Armament Research and Development Establishment (ARDE) in Pune. 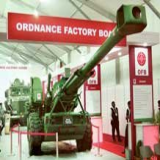 Bharat Forge Ltd. of the Kalyani Group, Tata Power Strategic Engineering Division and Mahindra Defence Naval System from the private sector are involved in a big way, along with the Ordnance Factory Board (OFB), in the project. This is significant step in indigenization as the Army and the DRDO had considerable differences on projects in the past. Why was India desperate for its own artillery gun? While inaugurating the Defence Exposition 2014 in New Delhi, the then defence minister A K Antony bluntly stated that "there is no money left" for big foreign buys like the Rafale fighter. That statement held good also for the army's biggest equipment gap - a Rs 10,000-crore shortfall of 1,580 towed artillery guns, the battlefield's most lethal killer for over a century. What planning and strategic vision could not do for defence indigenisation has been enforced by a shortfall of funds. 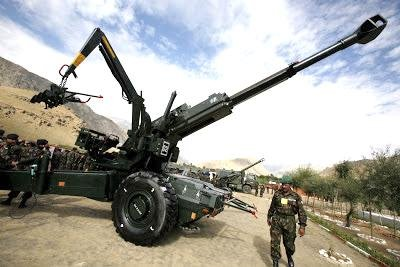 India hasn’t purchased artillery in 30 years since the Union ministry of defence (MoD) signed a $1.4 billion contract for buying 410 howitzers from AB Bofors of Sweden in 1986. The three-decade gap is the longest for the induction of any vital equipment in the Indian armed forces. While an artillery import deal finally succeeded on November 15, 2016 when the Cabinet Committee on Security (CCS) cleared the army's proposal to import 140 M777 howitzers from the US, the government is equally focusing on indigenous development to cater to the army’s need of thousands of artillery pieces. The renewed impetus for indigenous development of defence equipment is also aimed at providing a big boost for Prime Minister Narender Modi’s Make in India initiative. When was ATAGS project launched? 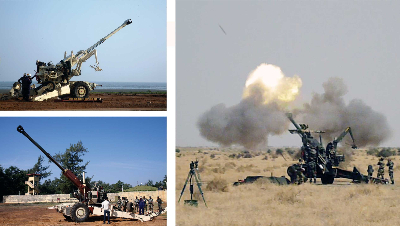 The Advanced Towed Artillery Gun System (ATAGS) project was started by DRDO to replace older guns in service with a modern 155mm artillery gun. DRDO along with Kalyani Group, Tata Power and OFB is developing the guns since 2013. It is one of DRDO’s biggest projects and is aimed at meeting army’s need for more than 2,000 towed artillery pieces. As a part of its 1999 Field Artillery Rationalization Plan, the army aims to acquire 2,800-3,000 artillery pieces. The gun is two ton lighter than guns in the same category and is designed to provide better accuracy and range and is capable of firing five successive rounds in short duration. The development of the gun took three years and three more years will be needed for the trials to be completed. It also boasts a range of 40 km, depending on the type of ammunition used. The gun has to go through a rigorous integration and testing cycle before large-scale induction. Proof firing tests of the armament systems were carried out during technical trials in June and September 2016 and some initial integrated firing tests were successfully carried out in December. Officials said they were on track to have the first fully integrated gun system for user trials by the Army in the first half of 2017. The production of the gun is expected to start in 2019, and it could tentatively be inducted in the Army between 2022 and 2024. Where does the current portfolio of guns of the Indian Army stand? 155mm Field Howitzer 77B: Developed and manufactured by Bofors, 155mm Field Howitzer 77B is the exported version of a Swedish 155 mm howitzer. The gun was designed as a replacement of the French Haubits F by the Swedish army and 410 FH77 B were exported to the Indian Army out of which only 200 are presently left in service. 180 mm Gun S-23: Designed and developed by USSR during the Cold War era, 180 mm gun S-23 is a Soviet heavy gun, which was designed by NII-58 and later exported to the Indian Army. Presently, there are nearly 100 180 mm gun S-23 in Indian arsenal and is one of the eleven towed artilleries with the army. 88mm 25 Pounder: With almost 75 years of warfare service, 88mm 25 Pounder is a dual-purpose British field gun and howitzer that was introduced into service just before World War II. The pounder is a common artillery weapon among the Commonwealth Nations. Sprut anti-tank gun: Created in the late 1980s, Sprut anti-tank gun is one of the best in the field with an integrated engine that makes the gun movable through any terrain. The gun is self-moving, self-propelled and is capable to attack during night with its 1PN53-1 night vision sight. It has an effective range of 2000m-5000m and an operational range of 50km. 2S1 Gvozdika: Developed by the Russian army, 2S1 Gvozdika is designed to operate on snowy and swampy conditions. India presently has 110 units of 2S1 Gvozdika. 2S1 has a road speed of 60km/h with an operational range of 500 km and a maximum firing range of 21.9 km. Pinaka MBRL: Developed by the DRDO for the Indian Army, Pinaka MBRL is a multiple rocket launcher and is manufactured under Tata Power SED, Larsen & Toubro and Ordnance Factories Board. Presently India has more than 80 Pinaka MBRL and will be replacing the 122 mm BM-21. The rocket launcher was produced in 1998 and included in the 1999 Kargil war. FV433 Abbot SPG: Designed by the British Army, FV433 Abbot SPG is a self-propelled artillery variant of the British Army FV430 series. The vehicle is currently used only the British and Indian Army and there are presently near about 80 units with the Indian Army. Who are building India’s indigenous artillery guns? The artillery gun dubbed the Dhanush will be the Indian Army’s first new 155 mm howitzer since the Bofors purchase and the scandal thereafter. As mentioned before, Dhanush has been developed by DRDO under the project name Advanced Towed Artillery Gun System (ATAGS). 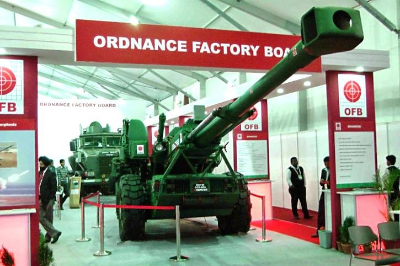 Bharat Forge has built its own gun, the Bharat-2, displayed at the DefExpo.Such is their conviction that the company imported an entire gun, the GHN-45 to absorb technology; while simultaneously buying and importing an entire production line from RUAG of Switzerland.While the defence ministry has not displayed an interest in this gun, Bharat Forge has been invited to play an important role in the ATAGS project. How important are artillery guns in war? Field artillery replicates albeit in a limited way the function of an air force combat aircraft when its booming heavy guns deliver lethal shells to the distances ranging between 20 to 40 kilometers or even more at the intended enemy targets. The role of the field artillery is to provide fire support to other arms by backing up attacks, providing defensive fire, neutralizing an enemy's gun emplacements, and generally acting as a basis around which all other arms can operate. For the decisive Battle for Berlin in 1945, the Russians threw a total of 41,600 guns and mortars at the Germans. Marshal Georgy Zhukov of the Russian Red Army wrote in his memoirs that it was the rain of three million shells that broke German resolve to hold on to Berlin at all costs. “As prisoners later told us, the great artillery barrage at night was what they had least expected,” he wrote. Similarly, in the role of artillery in the battlefield during the 1999 Kargil war in India cannot be forgotten and will forever be etched in golden letters. It was the Bofors 155mm gun that sent the Pakistanis scurrying from their positions in the high mountains. Because of its long range, accuracy, high rate of fire and mobility, the Indian Army was able to take out Pakistani positions quickly based on real time intelligence inputs. 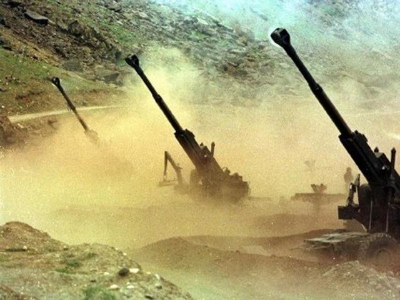 The Kargil conflict once again established beyond doubt that artillery firepower plays a major part in achieving victory on the modern battlefield. Accurate artillery fire reduces the enemy’s defences to rubble. Sustained artillery fire gradually wears the enemy’s resistance and ultimately breaks their will to fight. 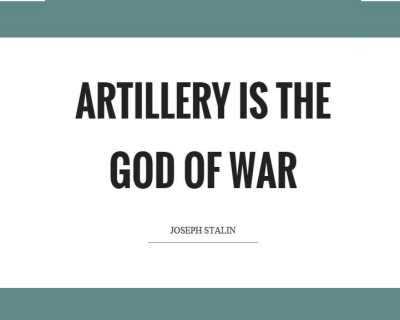 By systematically degrading the enemy’s fighting potential before a physical assault is launched, the artillery helps to reduce the casualties suffered by assaulting infantrymen.